Get ready for a great Saturday on April 11th, 2015 because it's Hood River's 2nd Annual Hard-Pressed Cider Fest. This Hard-Pressed Cider Fest begins at noon and lasts until 7p.m. providing a day of delicious cider tasting fun. Other fun activities will include a kids area, live local music, produce and arts vendors as well as local food venders to fill your tummy and your day. Learn more about this Hard-Pressed Cider Fest below. 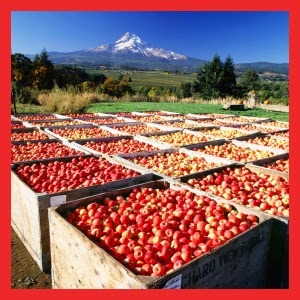 With nine cideries and counting, Hood River Valley’s hard cider scene is exploding. These craft cidermakers source the apples, pears and other fruits from the 440+ local orchardists, creating make ciders that truly give you a taste of Hood River, and place the region at the forefront of the new national hard cider movement. Now in its second year, the Hood River Hard-Pressed Cider Fest gives seasoned and novice cider drinkers alike the chance to sample cider from Hood River County’s very own cider makers, as well as a variety of additional Northwest cideries.